In 1992 the BBC released a film called Elvis, the Yorkshire Years. It featured a man from Staithes who used a name that may not have been authentic. Scott Davis worked as an Elvis Presley impersonator. 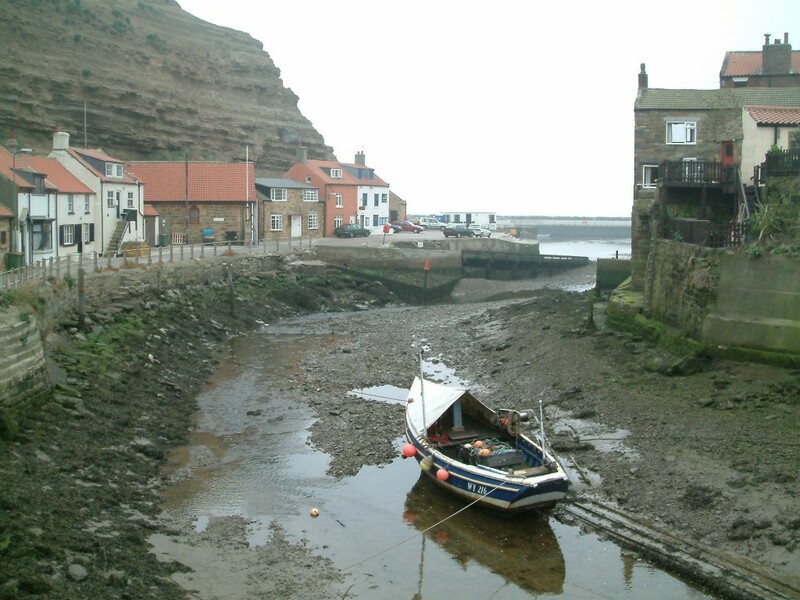 Staithes has an inlet where the fishing boats dock, and to the left of the inlet there is a bay defined by two rocky cliffs. Davis lived on land high above the inlet. In 1992 he had returned home to Yorkshire after impersonating the King in Florida. Davis was frustrated by life in the depressed economy of Britain, and the film showed a nervous man preparing to gamble the rest of his life on a debut in Las Vegas. The film has merit and is still available from the BFI. In 1992 my two daughters were children. The film has uncensored language but my daughters had insisted on watching the film, and their mother had indulged them. During our holiday in Staithes that year, my two daughters and me walked past the home of Davis who that summer was back in England. We looked through the window and saw him in his living room and sitting on the sofa. Davis did not wear a white suit but he wore large glasses and flash clothes, and he had the hair. My kids jumped up and down with excitement. They had seen their first celebrity. The only cars allowed to park in Staithes village belong to residents. 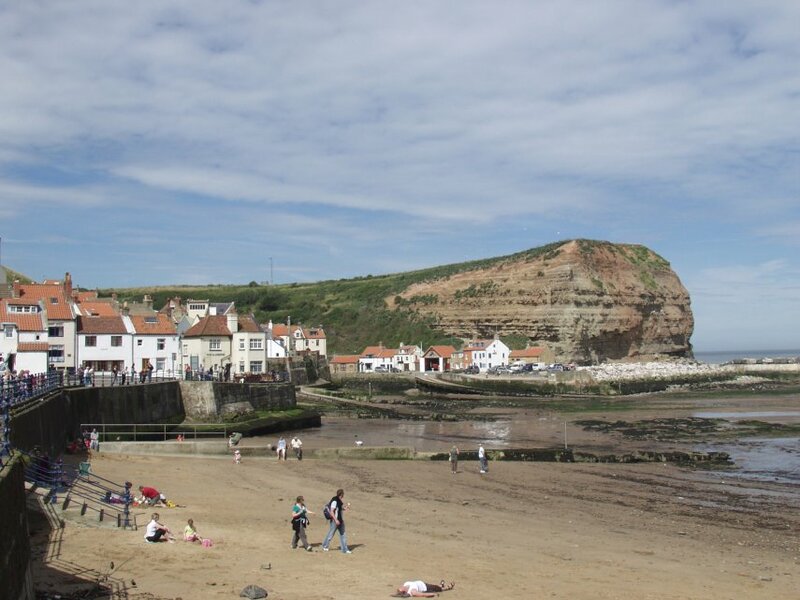 Staithes is an escape from the modern world, unchanged because the automobile is tamed, and delightful because of the Yorkshire coastal landscape. Davis viewed its strength as limits and yearned to leave. It makes sense. The heroes of the modern world both inspire and infect, and village communities have a medieval dread of infection. 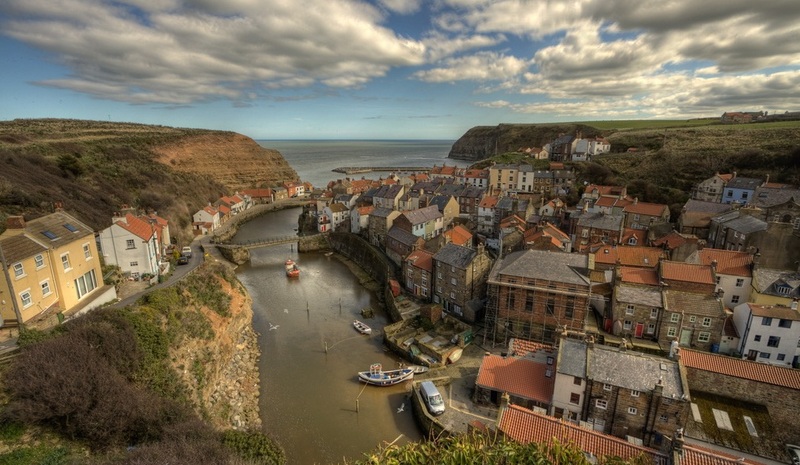 Staithes has an annual festival but there are no musical events. All the shops become art galleries and they present work by local artists. Davis was an outsider who needed Elvis and who yearned for Vegas. Other outsiders, though, have sought similar escape to Davis, and thirty of them settled in Staithes and grouped together to form the Northern Impressionists. Their legacy contributes to the festival. In 18th Century Britain not all wanderers were outsiders. Some travelled to survive. Captain James Cook is as famous as any of those Britons that did wander and he worked in Staithes as an apprentice grocer between 1745 and 1746. The fishing industry in Staithes would have been important then. At its peak there were eighty fishing boats in Staithes, some of them cobles, a weird mix of rowing boat and tent. Cook would have been able to watch the boats leave and arrive, sail past the beach and disappear in the broad sea between the two cliffs that define the bay. The store where he worked now has a plaque to commemorate Cook. The village has a museum that remembers the life of Cook. Like the museum the lifeboat station is open to the public. Both help the adults keep their children amused, or at least those who do not stare out between the cliffs and wonder, like Davis and Cook, what the hell it is that beckons them away. Posted in BFI, Captain James Cook, Elvis impersonators, Elvis Presley, Elvis The Yorkshire Years, Fishing industry, Las Vegas, North Yorkshire Moors, Northern Impressionists, Scott Davis, Staithes and tagged Culture, tourism, travel, UK history, uk travel on October 31, 2015 by Howard Jackson.